IT SEEMS it is not only the current crop of newspaper editors that are worried about their papers. Two former The Irish Times editors have now also taken a stand against the online onslaught and argued for radical thinking to save newspapers. A few months ago Geraldine Kennedy – now adjunct professor of journalism at the University of Limerick (my own parish) – made a spirited defence of newspapers, and launched a broadside against those operating in the online space. Today it is widely reported that the former Times editor and Garda Ombudsman Conor Brady has now called on Google to fund ailing newspapers. It is not an original idea, though a very welcome one. The French have already set up a €60m fund to assist newspapers there. Newspapers and magazines wanted Google to pay a licencing fee for listing the headlines and articles it uses in search results. The tech giant had fought against the licencing regime for content it aggregates from newspapers, but agreed to the fund instead. I can only assume Google took the view that agreeing to the fund would be cheaper than agreeing to pay a licence for content (and possibly opening the floodgates from others claiming copyright – not just in France but worldwide). 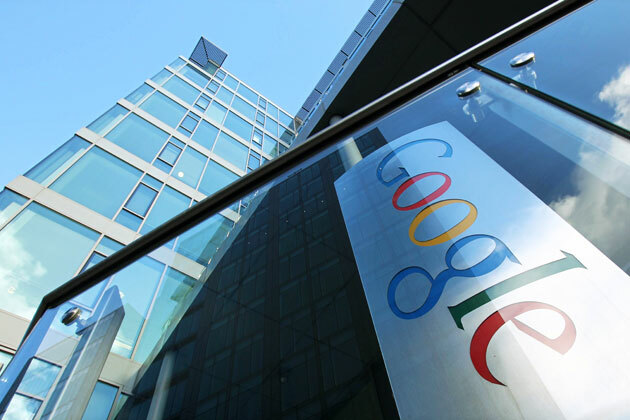 The French government signed the deal with Google in February after months of talks. The deal also gives French newspapers access to Google’s advertising platforms, so it is potentially lucrative for publishers, according to a Guardian Media report at the time. But back to today’s news. Brady, who edited the Times for 16 years until 2002, said newspapers needed to look at other revenue models including sponsored content and philanthropy. Without radical thinking some newspapers would go to the wall, he suggested. Of course, the NNI made a complete mess of their last foray into this space, arguing for copyright on links to articles on its members’ websites. It demonstrated at best terrible judgement and at worst a complete misunderstanding of how the internet works. The Irish Times quickly distanced themselves from the proposal, and it appears to have been quietly dropped. Brady made his comments at the launch of the Press Council’s annual report. Quoted by Laura Slattery (read the Times piece here), he said: “Our democracy will be impoverished if news media are so reduced in their fortunes that they cannot actually report the news. There are fewer journalists and they’re working longer hours, discharging more tasks and spreading themselves across a wider range of duties than ever before. Not only this, many of them are being poorly paid. There are very few new entrants now with the security of staff jobs. “Independent News & Media is grappling with debt – thankfully making progress, but grappling nonetheless. TCH has gone through receivership in the hope of emerging safely in its new incorporation as Landmark Media. The Irish Times is trimming costs and product to balance the books. The Irish Press is gone. The provincial press is pedalling harder and harder, like the man on the bicycle, trying to stay perpendicular. “I would urge the current Minister [for Communications] Pat Rabbitte to consider some such initiative,” he said. The influential media commentator Roy Greenslade reported the story this morning on this Guardian blog here. Media merger legislation has been promised by the Irish Government but a Bill has yet to be published. It might also be timely to take a look at the issue of licensing content and funding newspapers as part of wider media legislation. Perhaps the Oireachtas Committees, who have finally start to prove useful, might hold hearings into the issue. We have not yet seen the kind of Senate hearings into the future of journalism and newspapers that we saw in the US, for example, but they may well come soon. To suggest newspapers are in crisis is probably to dramatically understate their difficulties. INM, which owns the Independent and a raft of regionals, has stabilised its debt situation but it is extremely difficult to see where growth will come from. The Times continues to lose circulation and its much talked about online re-launch has been extremely problematic. The Examiner group went into and out of pre-packaged receivership in a day earlier in the year, though with just 40,000 daily sales their long-term survival is far from certain. Regional newspapers fare no better. Circulation losses year on year suggest the newspaper buying habit is being lost (and may never return). A combination of factors is to blame, including changing consumer habits; mobile; and increased competition from other online offerings. The reality is that regardless of the outcome of Brady’s proposal, it is likely that we will regrettably see further closures of newspapers in the coming years.